The course started on 23rd April 2012 and went on for 6 weeks. It was a introductory course and meant for people from non-IT background. 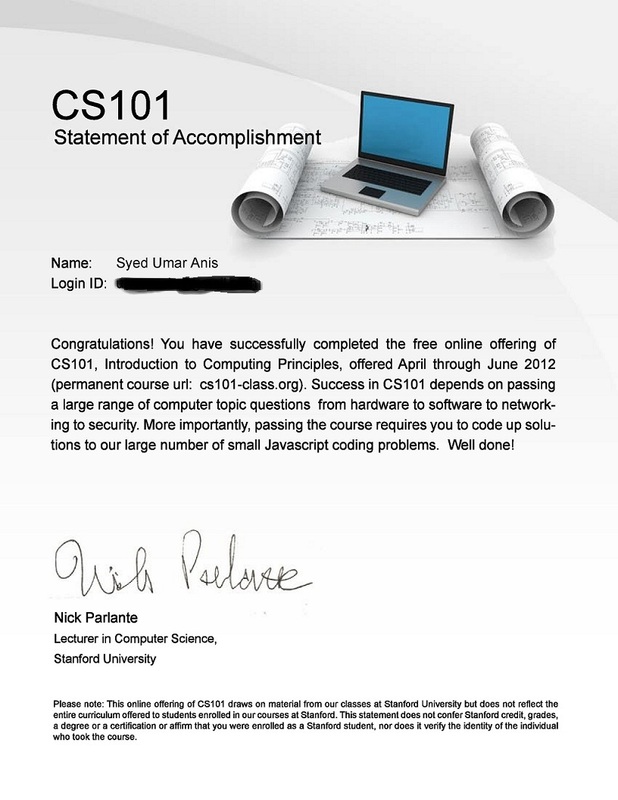 Despite having two degrees in Computers, I still went for it to explore the Coursera platform. I found it to be such a fun platform to learn, thoroughly enjoyed it.